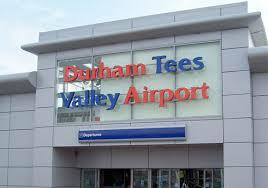 Durham Tees Valley Airport used to be a crown jewel in the Teesside area. When I was a child I used to go on my family holidays from that Airport and it is no surprise to me if anyone else in the area had a strong attachment to those sorts of memories. The problem is that over the years the Airport seems to have lost its sheen and appeal to companies as well as passengers. This was summed up perfectly by the news that Middlesbrough FC had signed a deal with Leeds/Bradford Airport instead of their local airport. I personally find it embarrassing that the single largest sporting club in the Teesside area is supporting a rival airport. If I were the owner or operator of DTVA I would be both angry and upset that my airport was failing as massively as it is. We need a strong airport to bring business into the area and if the current owners and operators of DTVA are unable to do it I suggest they sell up and give it to someone who is. If someone like Richard Branson owned it the area would be revolutionised because he would make it work. It is about time our airport competed again for the people of Teesside instead of slipping into the abyss of obscurity.